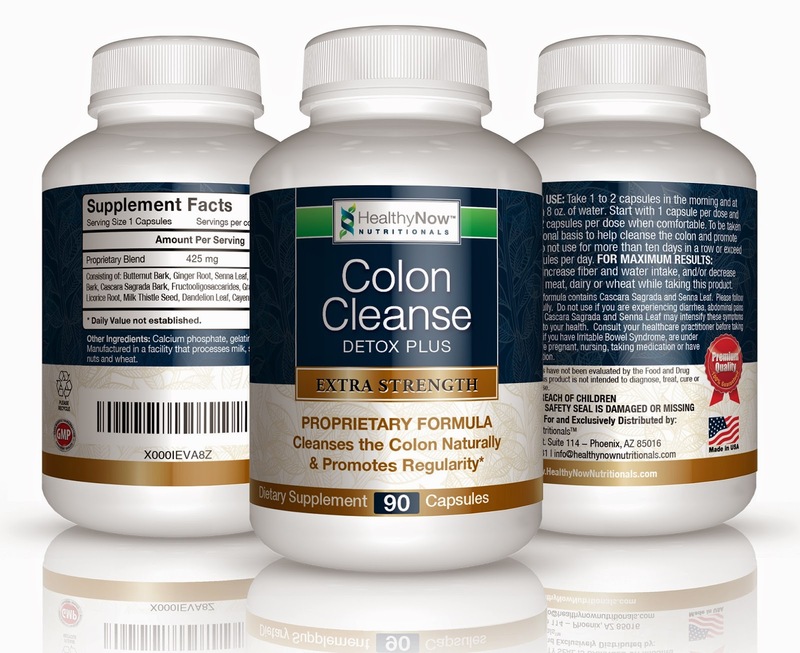 Today's review is about the Extra Strength Colon Cleanse Detox by HealthyNow Brands. I don't usually take supps, but I agreed to give this one a try because it's all natural and it has no artificial ingredients. 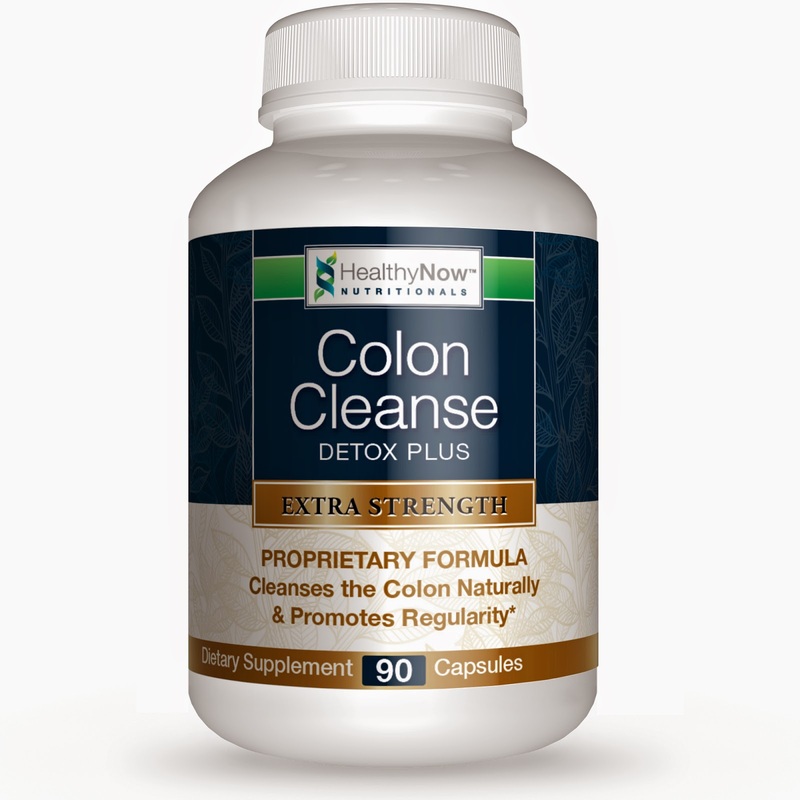 Relieve Constipation and Eliminate Built-up Waste with HealthyNow(TM) Colon Cleanse Detox Plus! A Unique, All Natural & Extra Strength formulation of herbs, seeds, fruits and fibers that help enhance digestive system functioning and cleanse the bowel. - 90 Caps per Bottle. - Promotes Digestive Health and Healthy Colon Cleanse Weight Loss. - Relieves Constipation & Indigestion. Simple colon cleansing promotes a fresh & clean digestive system and enhanced colon health. 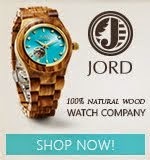 - Helps Eliminate Built-Up Waste. Our all-natural digestive system cleanse is Made In the USA in a GMP, FDA inspected facility and is backed by our 100% Money-Back Guarantee. - NO Fillers, NO Binders, NO Artificial Ingredients. Enjoy this fast acting colon cleanse for constipation relief. When buying colon cleansers always use only natural herbal ingredients. Lately, I've been experiencing gas, especially in the morning after drinking my coffee. When I started taking the colon cleanser, I didn't experience it. I also noticed that I move more regularly now. I used to have problems with moving especially when I didn't drink enough water. As for its ability to help you lose weight, it's too early to say, but I do feel lighter. I guess it's working to relieve me from bloating. I usually feel heavy, especially when I had too many liquid. I will continue to use this and I will update if there is an improvement on my weight. Meanwhile, I am pretty satisfied with the product and how it helped me manage my tummy troubles. This is a good one to try if bloating and moving regularly is your problem.